In March of 2016, Dorian Pakeman, Director of the Government Press Office, fatally knocked down 45-year-old Dean Dawson. Ten months later, he was charged for ‘death by careless conduct’. 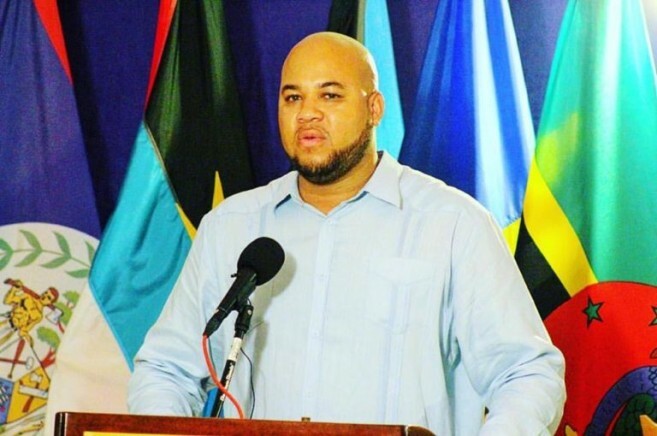 During Pakeman’s trial at the Belize City Magistrate’s Court on Thursday, May 25th, Magistrate Sharon Fraser dismissed the case, freeing him of the criminal charge. In September 2016, an investigation revealed that at the time of the traffic accident, on March 30, 2016, Pakeman’s blood sample tested positive for cocaine. According to Assistant Commissioner of Police (ACP) Edward Broaster, Regional Commander, Rural Eastern Division, these results were withheld from the Director of Public Prosecutions (DPP) and were discovered months after. In addition, the National Forensic lab revealed that Dawson’s blood sample had been tampered with high concentrations of ethanol - added to make it appear that he was drunk at the time of his death. Despite the findings, Bryan Neal, Pakeman’s attorney, stated to the court that there was insufficient evidence to charge Pakeman. “Any reasonable jury could not have convicted Pakeman. So my submission was not to clog the court system, and just dismiss it, and the magistrate found favor with my submission,” said Neal. Neal further stated that although Pakeman’s blood test was found with traces of cocaine, the samples were invalid since the police did not follow procedures. "Under Section 77 of the Motor Vehicle and Road Traffic Act, there is a procedure where a sample is requested within one hour. The person must also provide a subsequent sample for verification. In this case, there was only one sample given, which is not in accordance with the procedure in the Act. Therefore, that sample could never form a part of the case and that was one of the reasons I submitted that there was no evidence,” said Neal. Magistrate Fraser examined evidence against Pakeman, and then determined that there isn't enough evidence and there won't be any trial. Fraser stated that Pakeman’s positive cocaine test did not say that the substance in his system impaired his driving ability at the time of the accident. Apart from the criminal charge brought against Pakeman, he also faced two civil lawsuits in Dawson’s death. Sharla Adolphus, common-law wife and mother of Dawson’s four young children, signed a non-disclosure agreement with attorneys from the Solicitor General’s office, and settled for a check for $45,000. Adolphus offered a letter urging Director of Public Prosecutions, Cheryl-Lynn Vidal to drop the criminal charge against Pakeman. “It is my earnest wish that charges against Mr. Pakeman be withdrawn, and no further action is brought against Mr. Pakeman,” stated Adolphus’ letter. Therese Abraham’s civil claim was struck out because she did not have the standing to make such a claim. She was mother to three of Dawson’s sons. Although there is not a criminal or civil matter outstanding for Pakeman, Neal stated that it’s regrettable that accidents happen, and hopes that Dawson’s family finds peace, while Pakeman can be allowed to move on with his life. After the court hearing, Pakeman avoided the press and left court without giving a public comment. However, Magistrate Fraser did warn Pakeman that the DPP could bring back the charge against him. Island community must unite to fight Crime!